It is always nice when the work we do really makes an impact on the way a customers property looks. 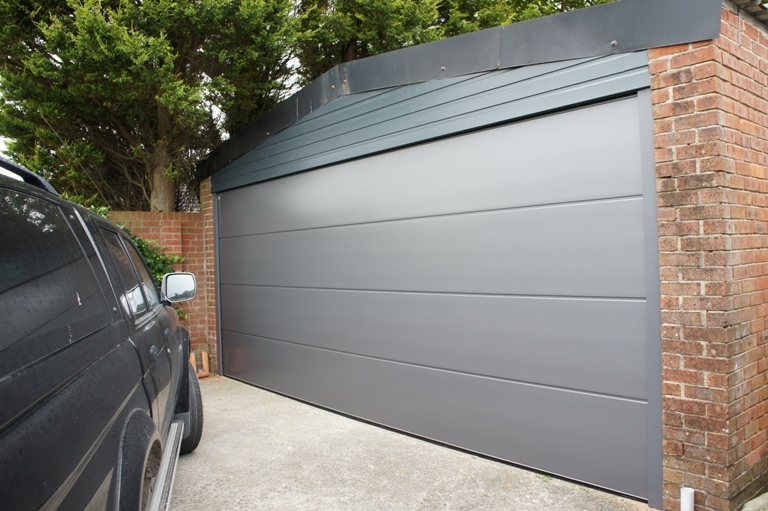 If your garage is part of the front of your home, or is on view when the driveway is entered, then a new garage door can really help to raise the value and desirability of your house. 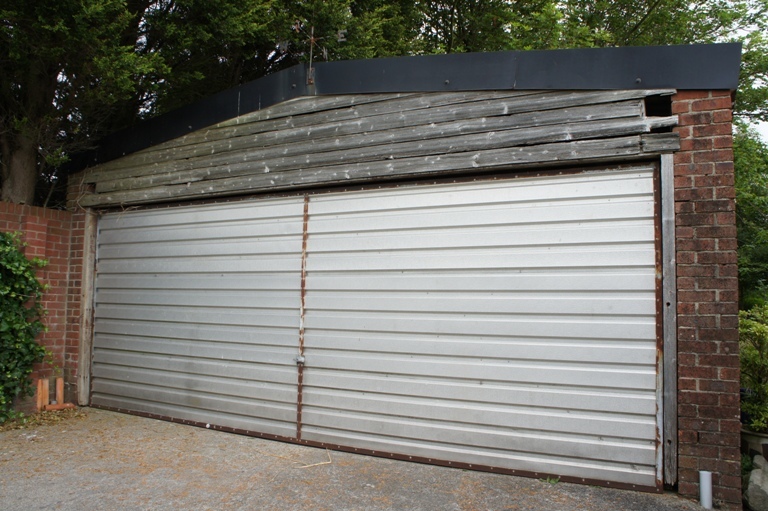 The garage at our property in Lancaster has been neglected for some time and we are now at the stage where we would like to restore and update it. The garage is large with a very wide and high opening. We would like a new contemporary door that should give as much height and width as possible. 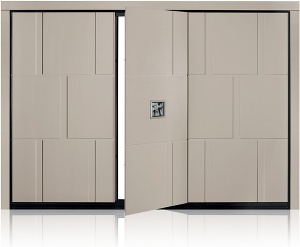 The door must be fitted between the reveals, be automatic, and have a colour matched frame. There will also be a large fascia above the door which should be done in timber and painted a complementary colour to the door. The customer came to our garage door Garstang showroom in Garstang to have a look at the different doors we have available. 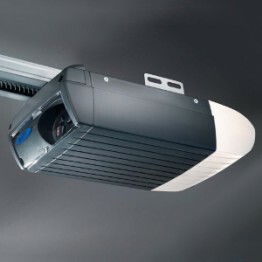 The product selected is a Teckentrup Carteck GSW40-L sectional garage door. It was finished in TT703 which is a dark metallic grey finish. The style is an un-ribbed panel which will give a very modern feel to the building. The Carteck door is German made and is a high quality insulated sectional garage door which has an extremely smooth operation. The bespoke fascia will be created from timber ship lap will be done in softwood, first primed then given 2 coats of eggshell finish paint in Anthracite Grey RAL 7016. 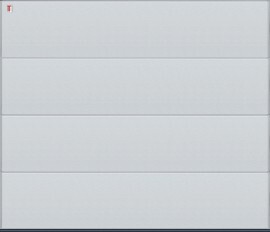 The electric operator used will be a Novoferm Novomatic 553S. The 553S is a powerful operator that will give years of reliable service, it comes with 2 Novotron handsets and a courtesy light. 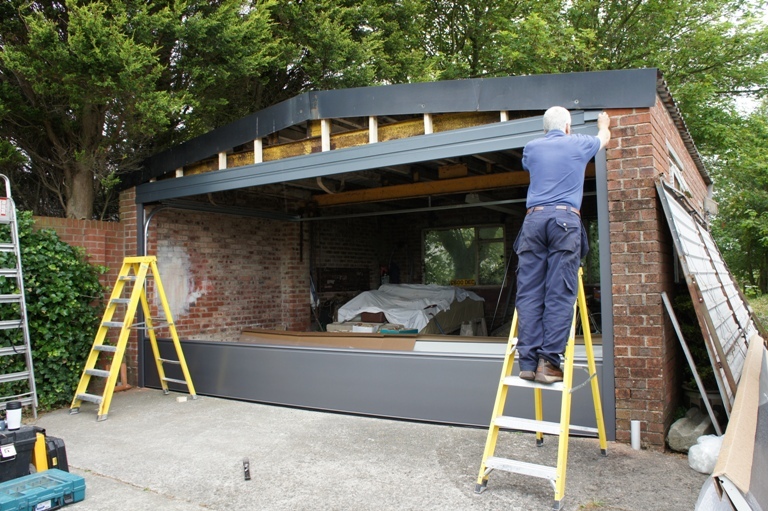 As well as doing sectional garage doors Lancaster we also supply and install all other types, makes and models of garage doors in and around the Lancaster area. We also offer matching front doors and entrance gates for many of our garage doors.